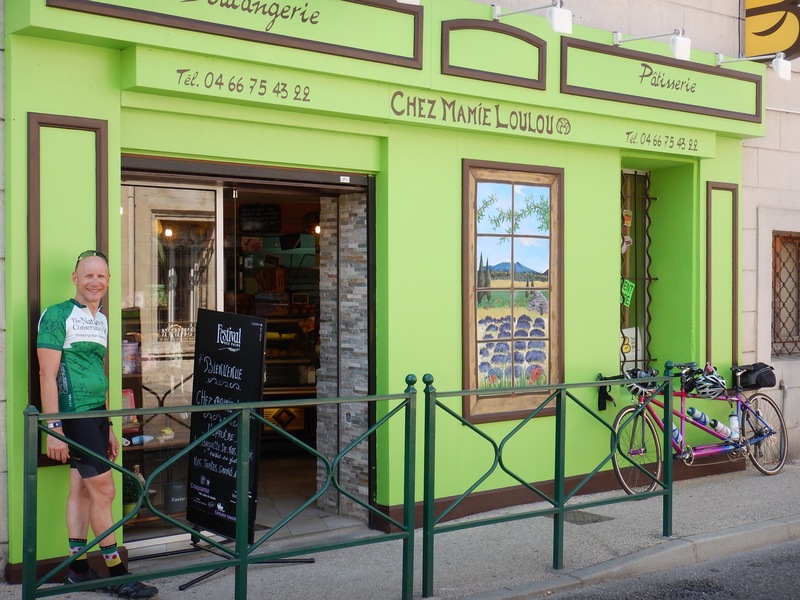 When riding, we take our rest stops at patisseries and boulangeries. 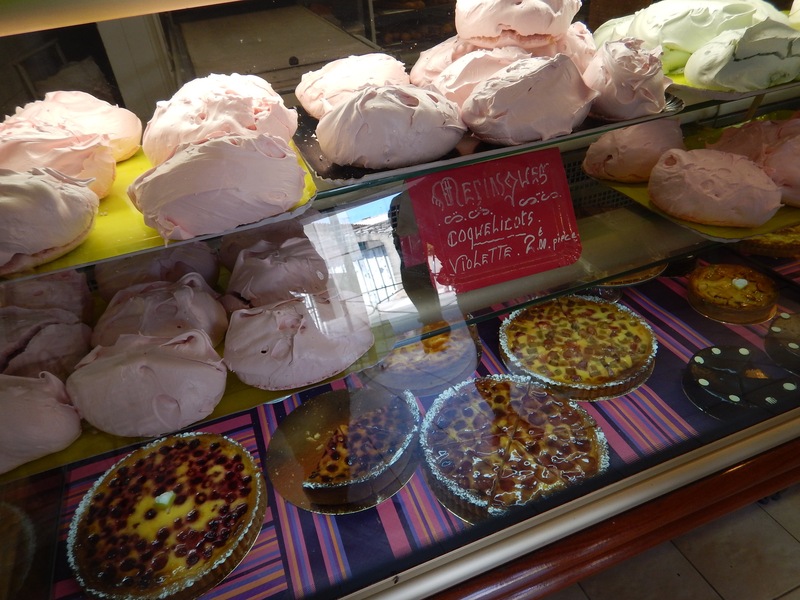 There’s not a better treat in France. Indulge me while I share some of our favorites! On the savory side, anything with olives in it. They call this foccacia. 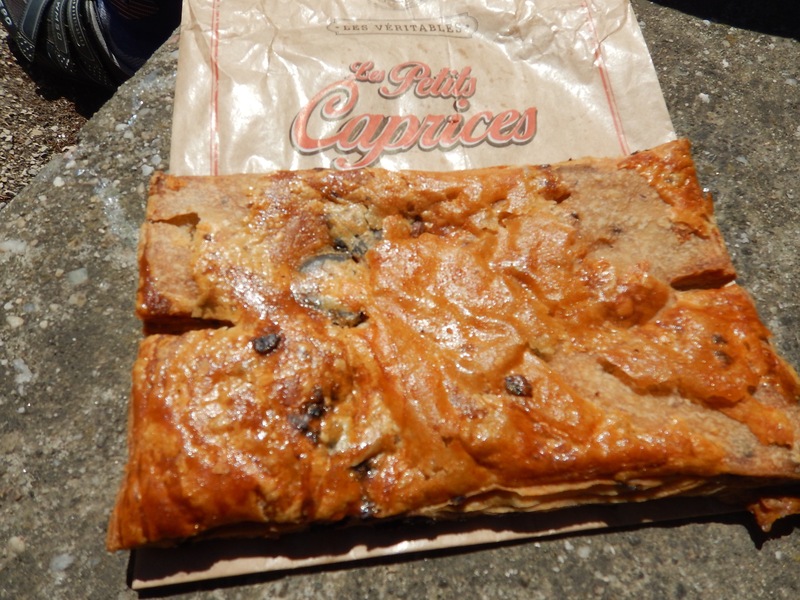 It’s flaky, buttery, and full of olives. Check out the olive oil bread. Our hands were covered in a sheen of oil when we were finished. 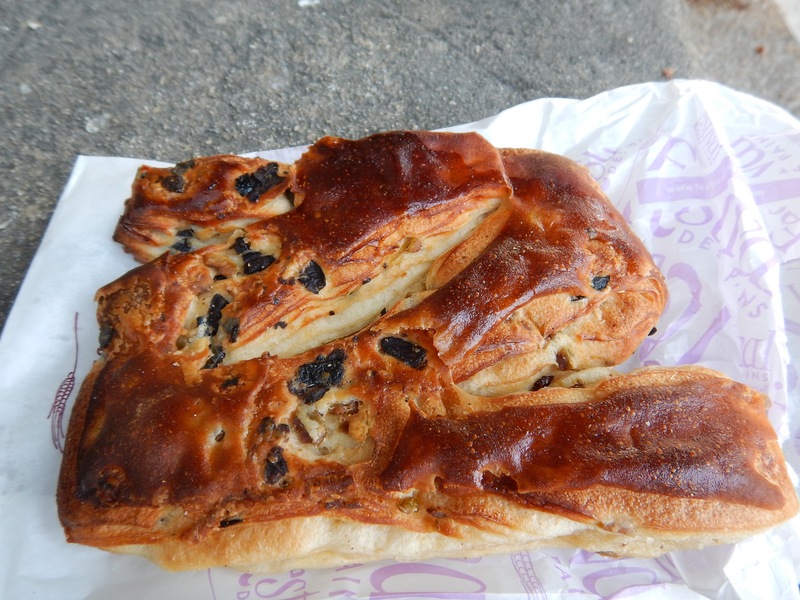 This olive pastry tasted just like challah (egg bread) filled with olives. Someone needs to try this in the States. When going for sweet, the sacristains are hard to beat. 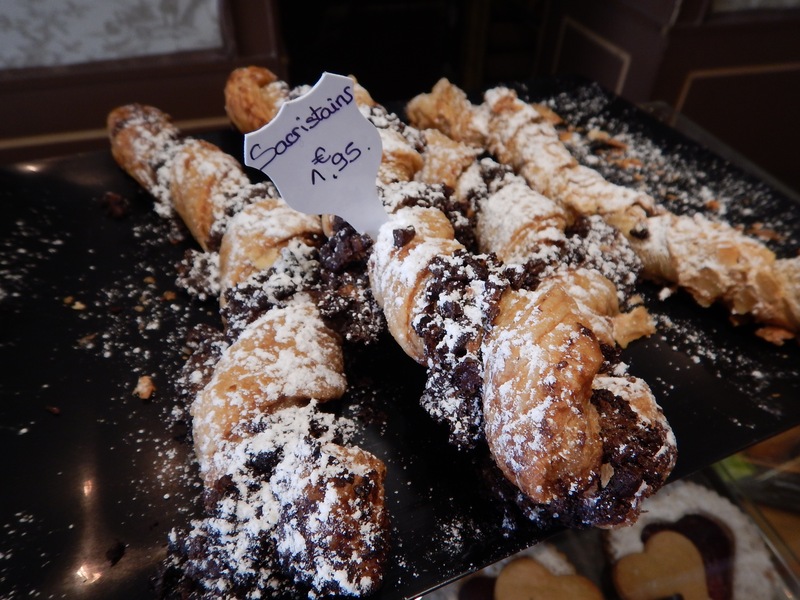 They come in a few different flavors and the chocolate brings back memories of Katz’s bakery in Monticello, NY and some of the best babka I have ever had. Good times. 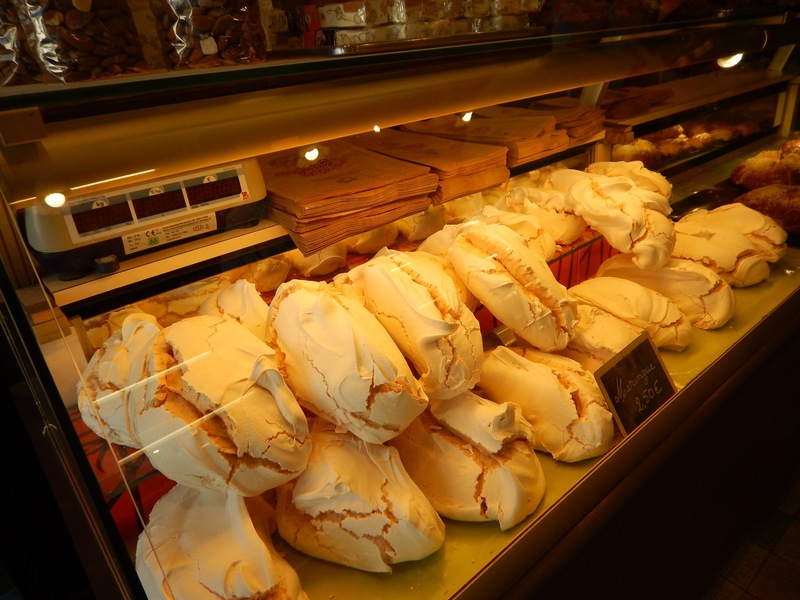 Every patisserie seems to have a stunning display of merengue. After seeing it every day, we break down and buy one. I pick the pink one, it’s a huge chunk. 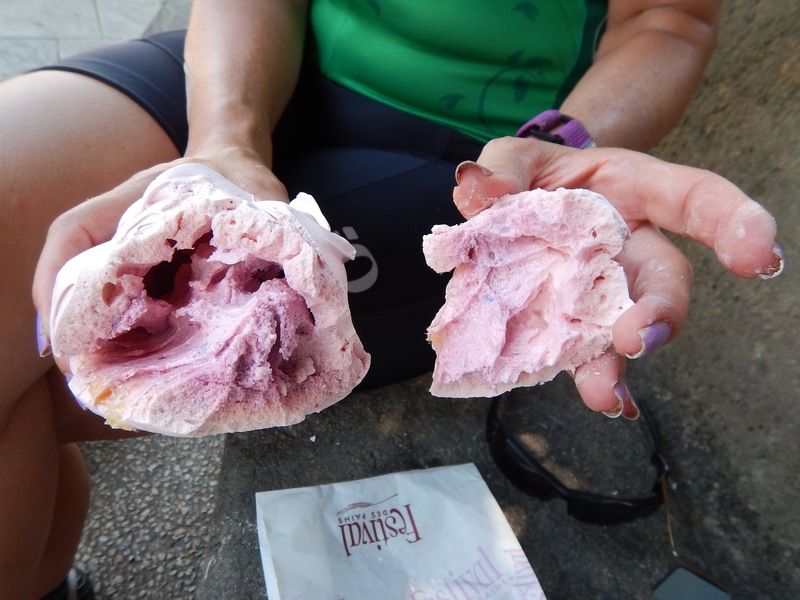 It’s hard on the outside and sort of softer on the inside. It tastes like solidified cotton candy. For this reporter, that’s not a bad thing, but my date thought his teeth were going to fall out! Coming up: A tour of our second house, and an update on Eve’s ankle.